It must have been 1979. I was six years old and living in Whitehorse, in the Yukon Territory. My mom and dad took my sister and me to the nearby Takhini Hot Springs. After an afternoon’s swim we were in the cafeteria waiting for an order of French fries. Dad grabbed a tray liner, flipped it over, and began doodling. He showed me how you could quickly draw a little beach scene with sea gulls wheeling around. His sea gulls were merely glorified versions of the letter “M,” but to a little kid this was enough to impress me with my father’s artistic ability. As the years went on, I soon came to realize that my father wasn’t exactly Robert Bateman. Dad has many other great abilities, but art doesn’t rank. I’ve inherited his artistic talents, although I certainly do appreciate beautiful art. I have the opportunity to do that almost every day. One of the best things of living here in Australia is the freedom to walk year round. Even in the winter, there’s no snow or ice with which to contend. I enjoy a daily walk year round and, as I do so, I encounter artistry every single time. As I walk along one of Launceston’s main thoroughfares, I see these beautiful flowers. They’re present all year long — even in the Tasmanian winter. These flowers come in two different varieties: white and pink/mauve. It turns out that these plants aren’t native to Tasmania. 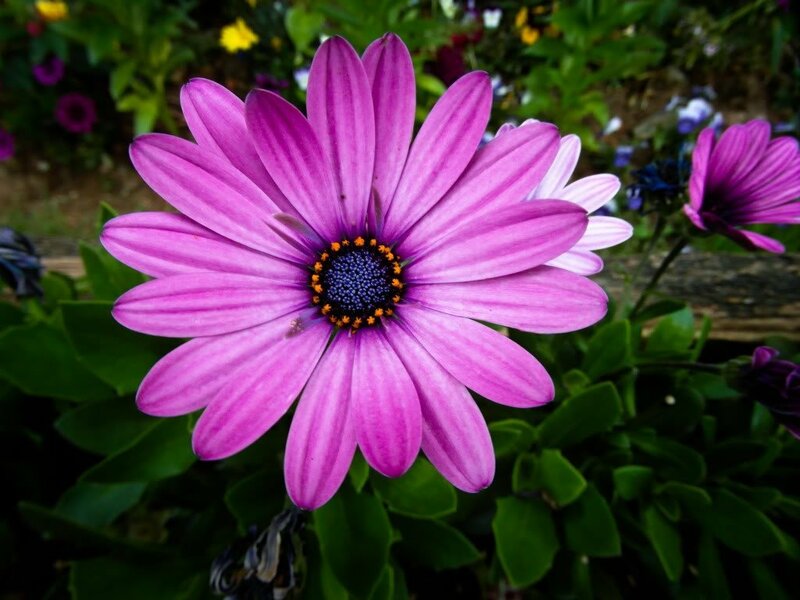 They’re called Osteospermum and they originate from South Africa. Though I don’t recall ever seeing them, I’m told that they can grow in Canada as well. The thing that gets me when I see these flowers is not only the fact that they’re blooming in winter, but also the symmetry and the stunning combination of colours. There is beauty with Osteospermum — there is artistry! Every time I see these flowers, year round (! ), I’m faced with the fact that my Father is an amazing artist. In this world, there are exhibits of symmetry and beauty that defy explanation from a Darwinist perspective. In Darwinism, every feature of the natural world requires an explanation related to natural selection. There must be a clear advantage for a given plant or animal to be one way versus others. But in reality there are many features that are just beautiful and have no clear natural selection advantage. 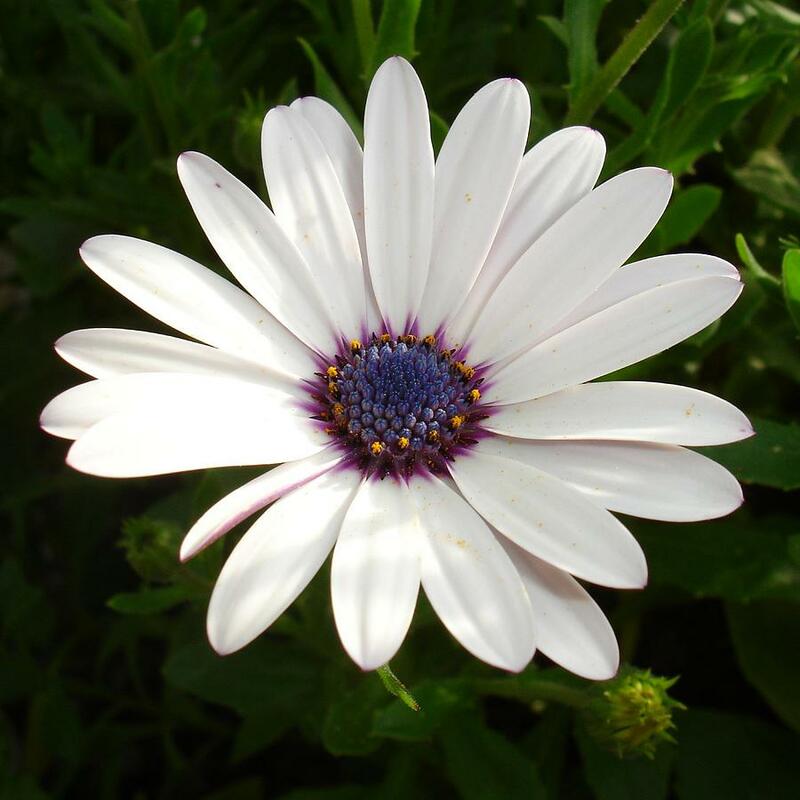 What evolutionary advantage accrues from combining white, blue and purple in the Osteospermum flower? None. It’s just simply beautiful. It’s simply artistry. It testifies to the fact that my Father has an eye for beauty. My earthly father may not be much of an artist, but my heavenly Father leaves me in awe every day! Next Article You Gotta Read This!